Facebook is a great tool that companies are finally taking advantage of. One of the major goals in marketing is discovering where to find the target audience. Facebook members can be narrowed down to an almost exact target market. Facebook members used to have to have an official college email address to be eligible for a membership. However, Facebook was recently opened to a select number of high schools. This expanded the audience that Facebook currently reaches. However, the majority of Facebook's use is still held by college students. This means that the primary target audience is college students and recent graduates with high school studnets as a secondary target audience. The college users make up the majority of the social network. This primary target is a fairly well educated group of individuals with a lot of purchasing power. What better place to advertise than a website many students visit at least once a day? Now that March is here, March Madness will soon begin. March Madness refers to the NCAA men's basketball tournament that attracts a huge audience. It is an exciting tournament that starts with 64 teams with one team crowned nation champion. Each year around this time sports fans create brackets and predict what teams will beat who and which team will finally win the tournament. Last year facebook set up an online bracket, which made it easy for students to make their picks. They allowed groups of people to compete against each other to see who made the best picks. They also had a Facebook-wide competition for the best picks. This year they brought back the brackets, which were reintroduced to Facebook today. This year facebook has four tournament sponsors that include Geico car insurance, Champion sports apparel, Borat the DVD, and a movie called Disturbia, which is coming to theaters April 13th. These sponsors have taken advantage of a known target audience in a medium with vast exposure. This year they are giving away large cash prizes for the contestants with the most accurate brackets. This gives students more of an incentive to enter the Madness if they were not previously inclined to do so. This gives the sponsors an even greater reach with their advertising. Some of the advertising costs put in my the sponsors goes to the $25,000 grand prize. 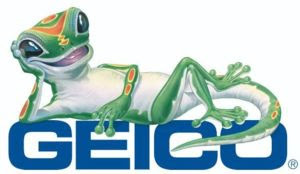 Geico is a company that young people can relate to. They have funny commercials and high recall. Champion is a less popular sports brand. However, they are trying to integrate their sports apparel with a sporting event, which should work well for them. Borat was a hit movie in 2006 and it is advertising its highly anticipated DVD release. This is also a good opportunity for Disturbia to advertise because the the movie comes out soon after the conclusion of March Madness. Facebook makes up the target market that all of these sponsors are seeking. All four sponsors work well in this medium. Here is a link to Facebook's March Madness page with the sponsors displayed down the right hand side. Unfortunately, people who are not members of Facebook will be unable to see the link. Facebook is a great way to market your business. facebook is great for business marketing specially for small business owners, small business owners can use social networking sites for business marketing. Hi, my name is George Angevine. I am a senior at Ithaca College in Ithaca, NY majoring in Integrated Marketing Communications. I am enrolled in an Internet Marketing course for which I will be blogging about functions of the Web 2.0 age that are changing our world.